If you are also struggling with money management, then we got some Android app for you. These Android money management apps will help you to track your income and expense in a more efficient way. So, let’s check out some of the best free budget and money management apps for Android. Well, those days are gone when money is just about cheques and cash. We are right now living in an era of plastic money. In fact, we all now choose to pay for any service online because online payments always come with few benefits. However, the digital form of payments also comes with a drawback. Reports from some authority sites claimed that with the use of plastic money, our spending habits have also increased. Some reports also claimed that person ends up spending more if he/she uses debit or credit cards. So, with the ever-increasing expenses, it becomes really difficult to keep track of all expenses. So, if you are also struggling with money management, then we got some Android app for you. 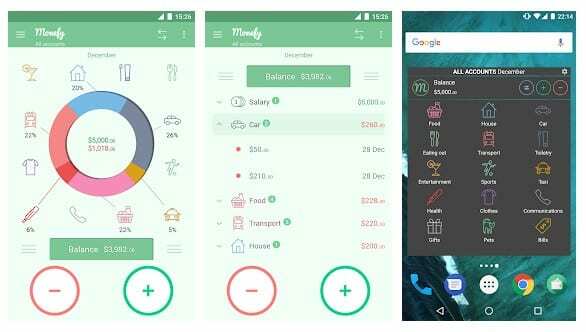 These Android money management apps will help you to track income and expense in a more efficient way. So, let’s check out some of the best free budget and money management apps for Android. Monefy is one of the best apps which can help you with finances. The app comes with a clean and easy to use interface. The app is very helpful to those who are looking to track their daily expenses. The app is very simple to use and you can add it allows users to add new expense records. This is another best Android money management app which you can use today. The app houses almost everything that you need to manage finances effectively. For instance, you can track both your expenses and incomes, track tax, track debts, etc. Apart from all of these, the app also provides users with a calendar view for expense and income. 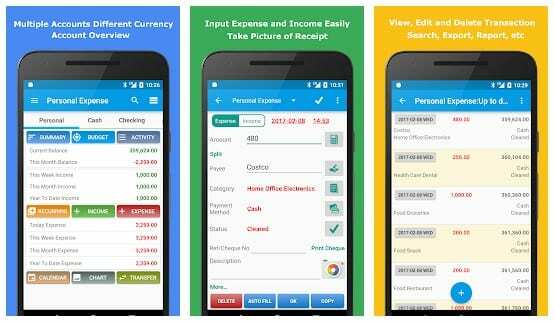 Money Manager Expense & Budget is one of the top-rated free budget app available on the Google Play Store. The app makes managing personal finances as easy as pie. You can record your personal expenses, business transaction, incomes with Money Manager Expense & Budget. Not just that, but the app also lets users review their daily, weekly, and monthly financial data. With MoneyWise it’s easy to register your expenses on the go. Using graphs and filters you get an overview of spending patterns and can also drill down to see details. For more in-depth analysis of your financial situation, you can easily export all data to your computer and import it to a spreadsheet application such as Excel. Well, this is not a money management tool, but its something which can help you in different ways while managing finances. Financial Calculators is basically a collection of essential calculators that could help you figure out various things. 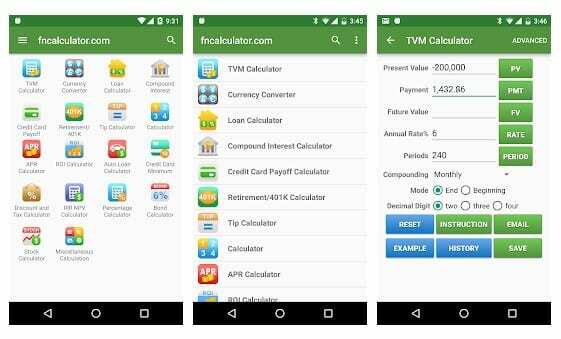 For example, the app has a loan calculator, compound interest calculator, TVM Calculator, etc. Well, GoodBudget is one of the popular money management app available on the Google Play Store. With GoodBudget, you will get an expense tracker, income tracker, and few money managing tools. The interface of the app is very clean and easy to use and you can also export your financial data in a CSV file. 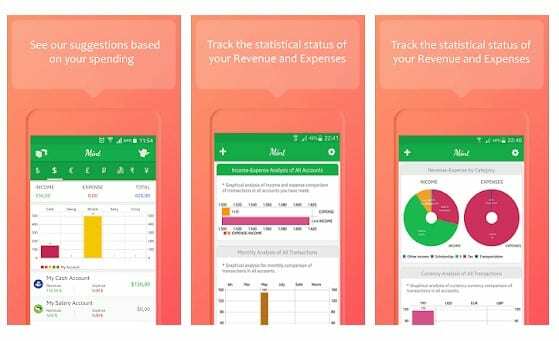 So, its another best budget app for Android 2019. 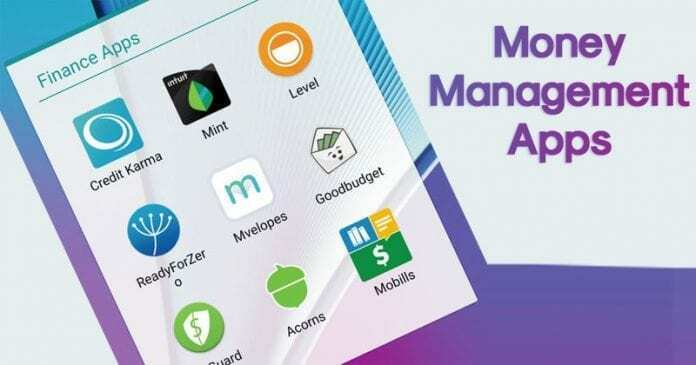 Well, Mint is another best money management app that you can use on your Android smartphone. The great thing about Mint is that it brings all money managing utility in one place. For instance, you can manage your bills, expenditures, income, etc. Not just that, but the app also allows users to pay bills and provides a credit score. As the name of the app says, Money Manager for Android helps users in managing money. If you are looking for an effective app for budgeting money, then Money Manager is a must-have app. The app allows users to record their expenses and income and it shows statistics based on your spending habits. 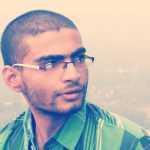 So, Money Manager is another best Android Money Management app that you can have. Well, Expensify is specially designed for business people who want to keep a detailed record of all their expenses and incomes. 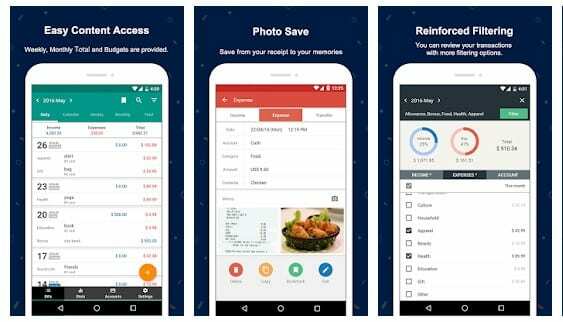 The app can also be used to keep track of personal expenses. 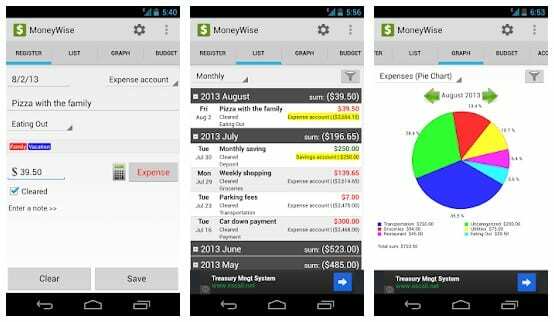 So, its another best budget apps for money management that you can have on your Android. 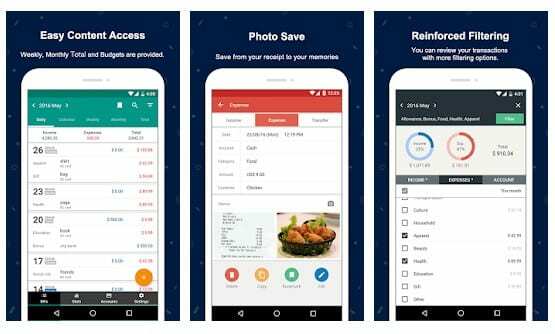 Well, if you are looking for the best free budget and money management app, then Wallet might be the best choice for you. The app is basically free and it can connect with over 3,500 banks worldwide. The app can help you with multiple currencies, reports and overviews, receipt and warranty tracking etc. As the name of the app says, Spending Tracker is an Android app which tracks your spending habits. The great thing about Spending Tracker is its interface which looks clean and well organized. The app basically helps users to manage their spendings while setting an expense account. Not just that, but Spending Tracker also helps users to track weekly, monthly or yearly spending records. Money Lover is another best Money management app on the list which allows users to manage personal finances easily. Guess what? Money Lover will allow you to manage money everything from credit cards, bills, receipts, cash, and savings accounts from one place. Not just that, but the app also allows users to track their daily expenses, incomes and puts them in the category. 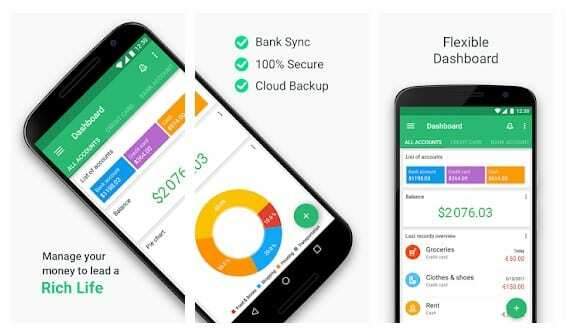 Toshl Finance is another great Money management Android app on the list which allows users to track users daily expenses and incomes. The best thing about Toshl Finance is that it organizes all your credit cards, bank accounts, and cash in one place. The app has been featured on some popular portals like the New York Times, BBC, etc. It uses graphs to list all incomes and expenses. So, Toshl Finance is another best money management app that you would love to have. 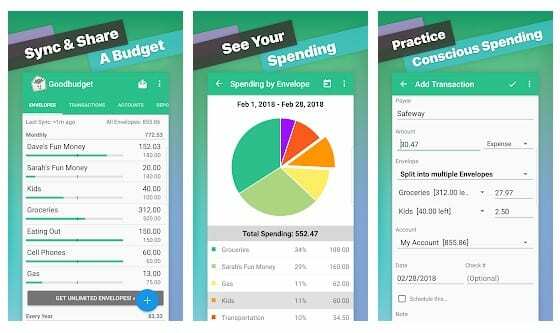 So, these are some of the best free budget and money management apps for Android that you can use. So, what’s your opinion on this? Share your views in the comment box below.